By 2080, New York City could be fortified with a belt of steel–or ringed with wetlands, as in this architect’s vision. The City Will Adapt to Flooding — but at the Expense of the Poor? For more than a decade before Hurricane Sandy, oceanography professor Malcolm Bowman, head of the Storm Surge Research Group at the State University of New York at Stony Brook, warned that a superstorm would someday drown New York City. There were plenty of precedents, he noted, such as the 1992 nor’easter that crippled train lines and Tropical Storm Floyd in 1999, which dumped a foot of rain in 24 hours and caused flash flooding. Now, in the aftermath of the most devastating storm New York has ever seen—one that claimed more than 100 lives in the region, destroyed thousands of homes and businesses, and notched a record storm surge of 13.8 feet in Lower Manhattan—an idea that was once seen as implausible now seems inevitable. One poll found that 80 percent of the public favors fortifying the city with surge barriers. “Money shouldn’t be a problem,” declared the New York Times. Gov. Andrew Cuomo has thrown his weight behind barriers, as have the state’s top Congress members and New York City Council Speaker Christine Quinn, the frontrunner in this year’s mayoral contest. Bowman and his Storm Surge Research Group have sketched out a plan that could cost an estimated $25 billion and centers on a five-mile-long “Outer Harbor Gateway” between Sandy Hook, New Jersey and the Rockaway peninsula. The barrier would be a belt of landfill, stone and reinforced concrete, possibly topped with a highway that would provide an alternate route from the mid-Atlantic to New England. Thirty-foot-high sand berms would be piled on Sandy Hook and the Rockaways to prevent flood waters from circumventing the gateway. Another gate, this one a mile long, would be built in the upper East River to stop surges coming in from the Long Island Sound to the north. Proponents say the funding question could be solved by making the highway bypass a toll road. The next step is for Congress to authorize the Army Corps of Engineers to conduct a feasibility study, which experts say could take five years and cost more than $20 million. Despite the costs, storm barriers seem more a question of when, not if, given that risks of more powerful storms barreling in on higher sea levels will increase exponentially as the Greenland and Antarctic ice sheets melt ever faster. Scientists say coastal cities should plan for sea levels to rise by seven feet by the year 2100. In Brooklyn and Queens alone, says Bowman, “you have to worry about the two to three million people who live less than six feet above high-tide level.” Since it would be virtually impossible for millions of people to abandon New York anytime soon, planners are trying to figure out the best way to hold the next hurricane at bay. To provide answers, the city tapped Jeroen Aerts, a professor of risk management and climate change at University of Amsterdam, to compile a cost-benefit analysis of flood-risk management strategies. Aerts says that, based on economic assets at risk, New York is the second most vulnerable port city in the world, after Miami. He cites an estimate that by 2080, the metropolitan area from New York to Newark, N.J. will contain about $2.15 trillion in assets that could be damaged by extreme storms. Compared to that—or even the $71 billion post-Sandy repair bill for New York and New Jersey—the $25 billion estimate for storm-surge protection looks like a bargain. However, Aerts warns, “Don’t put everything on storm-surge barriers.” Because nothing is foolproof, he advocates “a multi-layered safety system.” This includes back-up measures such as updating zoning and building codes, strengthening insurance policies and committing more resources to evacuation if the barriers do fail, as they did in New Orleans during Hurricane Katrina. This is precisely what worries critics. “Chances are, public policy is going to support only those developments that are high end, and are able to muster the most sophisticated and advanced flood protections,” says Tom Angotti, director of the Hunter College Center for Community Planning and Development. “Everyone else, the one- and two-family homes, are not going to be able to make it, unless they’re mansion owners who have deep pockets.” Indeed, in early December, the city announced that it will “update its building code to require more stringent protection against floods,” such as by requiring all new and rebuilt homes to exceed federal guidelines on elevation, which will raise housing costs significantly. While everyone pays for flood works, individuals are left exposed to market forces, and big real estate developers reap the benefits. The invisible hand never pauses. After Sandy, one developer snatched up a publicly subsidized 1,093-apartment complex on the Rockaways and is counting on raising rents to profit from the investment—which means pushing out low-income tenants. Along the New York and New Jersey coast, speculators are preying on homeowners desperate to unload damaged houses for less than half their pre-storm value. Meanwhile, Arverne by the Sea, a billion-dollar luxury complex on the Rockaways, emerged virtually unscathed because it was designed to withstand hurricane forces. Scientists say that by the time sea levels rise by one meter—which could take from 50 years to more than a century—barrier islands such as the Rockaways will have to be encircled by levees to survive. So until then, if left unchecked, wealthy homeowners and middle-income renters will continue to flock to these desirable waterfront regions. Meanwhile, high oceanside rents will push low-income workers to less expensive locales either outside the city or in remote neighborhoods, where they lack support networks and face overcrowding, underfunded services and hours of commuting. If the free market goes unfettered, that two-pronged dystopian scenario could play out on a broader scale across the U.S. coast. While storm barriers can guard New York City’s flanks, it’s impossible to seal the 3,700 miles of Atlantic and Gulf coastline with seawalls and levees. Unique coastal cultures such as the Cajun in Louisiana, Seminoles in Florida and the Gullah and Geechee of the Southeast will likely vanish if their lands disappear beneath the waves. By the latter part of the 21st century, the wealthy will probably cluster in those seaside cities and resorts that can afford flood barriers and hardened towers. Coasts not armored against rising seas will push inland, and their developed areas may shift to live-at-your-own-risk ramshackle dwellings for middle- and low-income groups seeking seaside relief from deadly heat waves brought on by global warming. But soft infrastructure can be an important complement to surge barriers by allowing for controlled flooding that can replace seawalls in some areas, cleaning up blighted ecosystems and serving as a blueprint for viable, mixed-income, mixed-use communities. Proposals reimagining New York’s waterfront, grouped in a recent exhibit titled “Rising Currents” at the Museum of Modern Art, include a working waterfront of sustainable oyster beds, fish farms and algal biofuels; seeding the bay with flood-tempering barrier islands, wetlands and breakwaters; and redesigning flood-prone areas with sunken forests, porous streets and hanging buildings to allow water to enter in a controlled fashion. It’s an exciting vision, but democratizing urban planning is a difficult task at best, and it runs counter to how developers manipulate government to generate private wealth. Angotti points out that the rampant waterfront development of the last decade under Bloomberg has the government’s fingerprints all over it. Rezoning jacked land values “10, 20, 40 times” overnight while the city funneled subsidies, loans and tax breaks to private developers building on those lands. If it isn’t a problem to find money for surge barriers, as the New York Times asserts, then, given the political will, money can surely be found to develop soft infrastructure that benefits more than developers and million-dollar condo owners. Angotti suggests that instead of burdening the public with the costs, big developers should be made to pay for barriers designed to fortify their “luxury enclaves” and to fund protection for the city’s most vulnerable communities. Taxing the wealthy, high-end developments and corporate skyscrapers would generate money for both hard and soft infrastructure. But political will does not develop out of thin air. To achieve this vision will require broad-based social mobilization by the people who really make the city run. They must assert their right to remake urban space around communal, democratic, liberatory and cultural experiences, rather than ones based on individualism, consumption, spectacle and accumulation. One thing is certain: Rather than allow the political conversation to revolve around cold cost-benefit calculations, we must redefine the problem in social and ecological terms to make people’s needs and natural approaches central to the solution. 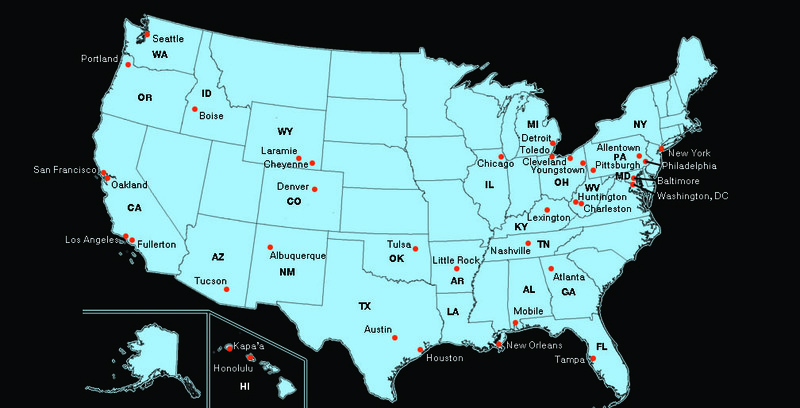 Of course, neither hard nor soft infrastructure can hold back rising seas forever. Retreat is inevitable. Even the Dutch, who are at the forefront of adapting to rising seas (as 26 percent of their country is below sea level), plan to eventually abandon 20 percent of their land, according to scientists. What Happened to the Green New Deal? Out of the ashes of Obama’s green-collar vision, a worker-run business may point the way to the economy of the future. Last election, Obama had an economic plan and wasn’t afraid to embrace government as a primary creator of jobs. With markets melting down, almost half a million people being fired a month, and automakers and banks emitting a death rattle, Obama presented a sweeping vision of tackling health care, global warming, a rogue Wall Street and reshaping the decaying industrial economy with a green-collar one. Liberals dubbed it a Green New Deal and fantasized about the land blossoming with solar panels, electric cars and high-speed trains as new regulations cut corporations down to size. Obama botched the plan, however. He inflated hopes in 2008 that his policies would create 5 million green-collar jobs in a decade. He then skimped by allocating only $90 billion in stimulus money for clean energy, producing a measly 225,000 jobs after 18 months by the White House’s own estimates. Republicans blasted Obama’s green economy as failed central planning imported from Europe. They believe the government that’s best is the one that governs the least. Its purpose is to spur the private sector, but how it does so is mysterious. This was Romney’s position, but it seems to have become Obama’s, as well. During the election campaign, the two mouthed the same invisible-hand mumbo-jumbo, offering little chance of reviving an ailing economy. In the real world, corporations clasp onto the public teat like squealing piglets. Big business would starve if deprived of state-organized central banking, transport, electricity, water, sewage, courts, zoning, police, environmental remediation, customs and labor regulation. Pick an industry and you’ll find tailored public aid. Banks and car makers get bailouts; energy and forestry companies mine, drill and log public lands; the health care industry thrives thanks to the Food and Drug Administration (FDA), National Institutes of Health (NIH), Medicare and Medicaid; agribusiness soaks up crop insurance and subsidies; home construction is built on Fannie Mae, Freddie Mac and the Federal Reserve; and perhaps the largest part of the economy – the military-surveillance-police-and-prison sector – is assembled piece by piece by government. Clearly, government policies create many millions of jobs. (That’s not counting 22 million government employees and an estimated 14 million other jobs created by government contracting and consumer spending by public-sector workers.) This is known as industrial policy. Every country does it, and the United States is no exception. We just tend to do it worse because it is heresy to question the god of the free market. If the public realized how much big business depended on public support, then there might be a loud clamor for more activist government. The lesson is not that the Obama administration did too much to spur a green economy; it did too little. Answers to why the green-collar economy withered and where its future may lie can be found in the story of Serious Energy and workers from the former Republic Windows and Doors factory in Chicago. Obama’s green jobs plan had one missing element – labor. A healthy economy requires plenty of good-paying, stable jobs with benefits. However, the titans of Wall Street aren’t going to voluntarily give up profits so the proles can get better wages and social programs; the proles have to fight for it. As if on cue, a glimmer of labor’s revival emerged after Obama’s election. On December 5, 2008, 240 workers at Republic Windows and Doors staged a sit-down strike after receiving notice that their factory would be mothballed. The workers, members of Local 1110 of the United Electrical, Radio and Machine Workers of America, raised expectations that a wave of labor militancy could turn the tide against runaway corporate power. Soon, all the elements came together. Serious Materials, a clean-technology firm, purchased the bankrupt Republic plant, which specialized in manufacturing high-energy-efficiency windows. Serious Materials (since renamed Serious Energy) billed itself as a green-economy pioneer ready to revolutionize manufacturing with green products. Obama’s stimulus would open up the market for its goods. And Serious was intent on showing profits, sustainability and social responsibility were compatible by keeping the unionized workforce in place. Serious was one of many companies that hitched its wagon to Obama’s plans to green old markets and catalyze new ones. Despite shifting business models, Serious flailed along with the green economy. Now, Serious is no Solyndra, the solar-panel manufacturer that defaulted on a $535 million taxpayer-backed loan. The Republicans successfully saddled Obama with Solyndra’s bankruptcy, turning it into “a case study of what can go wrong when a rigid government bureaucracy tries to play venture capitalist and jump-start a nascent, fast-changing market,” as he Washington Post called it. Serious shows the private sector can be just as wrong. Ten venture capital firms poured more than $140 million into Serious and have little to show for it. But rising out of the ashes are the Republic workers. They’ve raised hundreds of thousands of dollars to purchase machine tools and lease factory space to open the New Era Windows Cooperative. Modeling themselves on cooperatives in Argentina’s recovered factory movement and Spain’s Mondragon, the New Era workers will collectively decide how to manage the business, what products to manufacture and what to do with the profits. While they make green windows, they hope to inspire other self-managed enterprises across the United States and could provide an alternative to free-market capitalism. Ironically, if New Era succeeds, it will do so with zero government support. One might have expected both presidential candidates to heap praise on the cooperative. Romney could have touted the workers’ entrepreneurial initiative, while Obama could have pointed to it as a new model for domestic green manufacturing. In terms of Serious and Solyndra, their breakdowns are par for the course. The clean-tech sector is littered with so many casualties it looks like a Civil War battlefield. It is an unavoidable part of the process, and the Obama administration made a big mistake in shrinking away from failures. The story of Serious and the Republic workers begins in 2007. Serious Material was planning to market EcoRock, which it touted as requiring only 10 percent of the energy used to make standard drywall. It raised $50 million to build factories in the United States that could crank out 400 million square feet of EcoRock a year. It’s the type of project that excites wonks: Serious Materials would reinvent the archaic drywall industry, which spews out more than 20 billion pounds of carbon dioxide annually, with a stateside 100-kilowatt solar-power plant that would create hundreds of good-paying manufacturing jobs while eliminating nearly all greenhouse gas emissions. “New construction is down 80 percent from the peak,” said Surace. Flush with cash to build factories, Serious Materials pivoted to plan B: manufacture windows that slash heating and cooling by 40 percent. Even though home building was in the dumps, Serious calculated that it would “ramp up production [in 2009] by tenfold” because of anticipated demand. It had been in the windows business for a few years, and in 2008, it purchased Alpen Windows in Colorado. In 2009, it added the defunct Kensington Windows factory in Pennsylvania, where 150 workers had been booted out of work the previous year. The real prize was the Republic factory. The workers there won $1.75 million in wages and benefits after a six-day-long sit-down strike. They were unemployed, however, joining more than 600,000 workers who lost their jobs in December 2008. With 4,000 news articles published on their fight, Serious was paying attention. At Serious’ headquarters in Sunnyvale, California, CEO Suracewatched the drama unfold and pondered riding to the rescue of the beleaguered facility. Not lost on anyone was the “public relations potential” of aligning with the Obama administration’s plan for a green-collar economy. The stimulus included $5 billion for the Weatherization Assistance Program. Much of this was for tax credits for energy-efficient retrofits that included windows. Serious was eager to cash in because its windows exceeded Energy Star ratings by up to 400 percent. Surace became a rock star in the clean tech field, hit the TED circuit and shared stages with politicians. He gave Sen. Mark Udall (D-Colorado) a tour of Serious Energy’s Boulder facility, wielded scissors with Pennsylvania Gov. 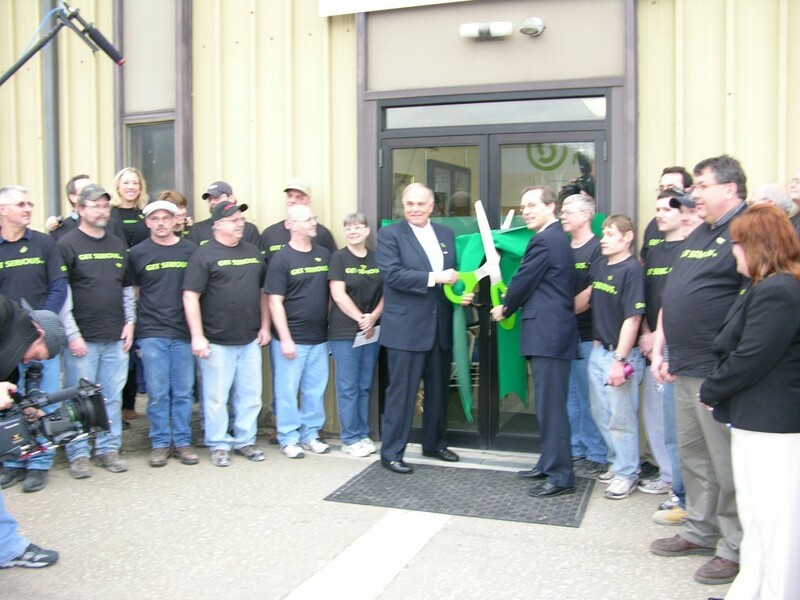 Ed Rendell for a “green ribbon-cutting ceremony” at the Kensington plant, and basked in the limelight with Joe Biden as the vice president heaped praise on the re-opened Chicago factory. Surace was on a mission to save the world from climate change with green windows and drywall that would generate serious greenbacks for Serious Materials’ investors. Everything was going according to plan. As Serious collected factories, it boasted of “creating green collar jobs in plants across the country including … the President’s home town of Chicago,” wrote an Inc. editor. Inc. noted: “The Republic rescue has paid off handsomely in publicity … Aspiring vendors, curious dealers, and assorted well-wishers began stopping by the plant after its reopening. These days, salespeople rarely need to introduce Serious Materials to their prospects; the White House has already done that for them.” Revenue in 2009 reportedly increased by 50 percent; the company was employing more than 300 people, and in March 2010, Serious landed a coveted contract to upgrade the Empire State Building’s 6,514 windows. Serious put its chips on weatherization, but the recession weakened its hand. The Department of Energy inspector general found that by December 2009, only 8 percent of the money had been spent “and few homes had actually been weatherized.” Because the $4.73 billion in the pipeline was divided into 58 spigots to cover every US state and territory, “State hiring freezes, problems with resolving significant local budget shortfalls, and state-wide planned furloughs delayed various aspects of the program.” On top of that, little money was being spent on windows like those built by Serious because weatherization also covered furnaces, insulation, water heaters, weather stripping, cooling systems and storm doors. But Serious was trying to muscle in on the turf of heavyweights like Siemens, Honeywell and General Electric, so it was back to the drawing board. After changing its name, Serious Energy unveiled a new division and plan number four in November 2011. A spokesperson announced Serious Capital would finance energy efficiency retrofits of buildings for free: “We install, at no cost to customers, energy conservation measures that will save energy,” they said, “and we become the agent for utility bill payments.” Serious Energy figured the revenue stream would allow it to pay the bills and lenders and leave enough for a tidy profit. For the third time, it was eyeing a government angle, committing to perform $100 million in retrofits as part of Obama’s Better Buildings Initiative. The initiative is one of those so-called “public-private partnerships” that are economic quackery. The Better Building Initiative promises to cure every ill – “creating jobs, growing our industries, improving businesses’ bottom lines, reducing our energy bills and consumption, and preserving our planet for future generations” – with no pain in the form of taxpayer financing or altering business as usual. For Serious, the initiative made little difference. As Greentech Media pointed out, it was unclear how it was going to “get the backing to meet its stated goal of $2 billion in potential project financing.” Plus it would need to buy insurance as a hedge in case the savings did not materialize. Once exalted as the poster child for exemplifying Obama’s vision of “green-collar jobs at the hands of a resurgence in American innovation,” Serious Energy shriveled into a new economy shell reminiscent of Enron, chucking aside manufacturing for software, finance and hedging. The venture capital taps were also running dry. Serious raised less than $20 million of its 2010 goal of $56 million, and less than $3 million of a $33 million round in 2011. The free retrofit plan unraveled in weeks. In February 2012, Surace was canned, and Serious announced it was closing the Chicago factory. On February 23, it summoned the 38 remaining workers to “the offices of the notorious union-busting law firm Seyfarth and Shaw,” as Labor Notes put it. The workers were told they would get their 60 days pay under the law, but the factory would be cannibalized and the machines shipped to Serious’ plants in Pennsylvania and Colorado. Not given to taking things lying down, the workers sat down once more. Less than 12 hours later, they emerged victorious with a written agreement that the factory would operate for 90 days longer while Serious Energy looked for a buyer. As for Serious Energy, Porat says it is returning to its roots of producing soundproof drywall, a business he admits has very little to do with clean tech. UE Local 1110 had no illusions that a white knight was in the wings, however. During a visit last May to the headquarters in Chicago, local President Armando Robles confided: “Nobody is going to buy the factory after two occupations. They don’t want troublemakers there.” Having shown themselves to be innovative risk-takers by winning two sit-down strikes that were technically illegal, the workers decided they would run the factory themselves. They joined forces with The Working World, which provides “investment capital and technical support for worker cooperatives,” and raised the money to buy the window-making equipment and establish the worker-run and -owned business. The cooperative is still in the works. The big question is, can it blaze a path for labor to revive manufacturing? Small, worker-run cooperatives can’t replace an advanced industrial base, but they could democratize the US economy and employ millions in stable, living-wage jobs. Networks of cooperatives could also provide a model to supplant the warmed-over Keynesianism beloved by liberals. Stimulating demand or creating public-works programs would still be effective today; Obama has done far too little of it. Trying to reshape the industrial base as happened under FDR (and that’s mainly because of World War II) is far more difficult because back then, US capital had limited options beyond the domestic market for consumers, factories and workers. That’s not the case in the globalized economy. The biggest US employer, Walmart, pays poverty-level wages to most of its 1.4 million workers. The most valuable corporation in the world, Apple, has only 13,000 US-based employees outside of its retail stores. And both source most of their goods from China. The free-market solution is to subsidize corporations, a point upon which Romney and Obama agreed. For instance, states like Alabama, Tennessee and Mississippi already gift $300 million or more to automakers opening plants they were planning to build. Imagine if instead of padding the profits of Fortune 500 companies, the public sector funded tens of thousands of worker-run cooperatives. Many would go bankrupt, but that’s the price of innovation. The upside would be successful worker-run cooperatives rooted in communities. Such enterprises would be unable to move operations to Mexico or Malaysia, while abuse of employees that is far too common here would be almost impossible in democratic workplaces. A new economy demands new answers, not the failed free market or nostalgia for a past that no longer exists. The New Era Windows Cooperative might just provide some of those answers.